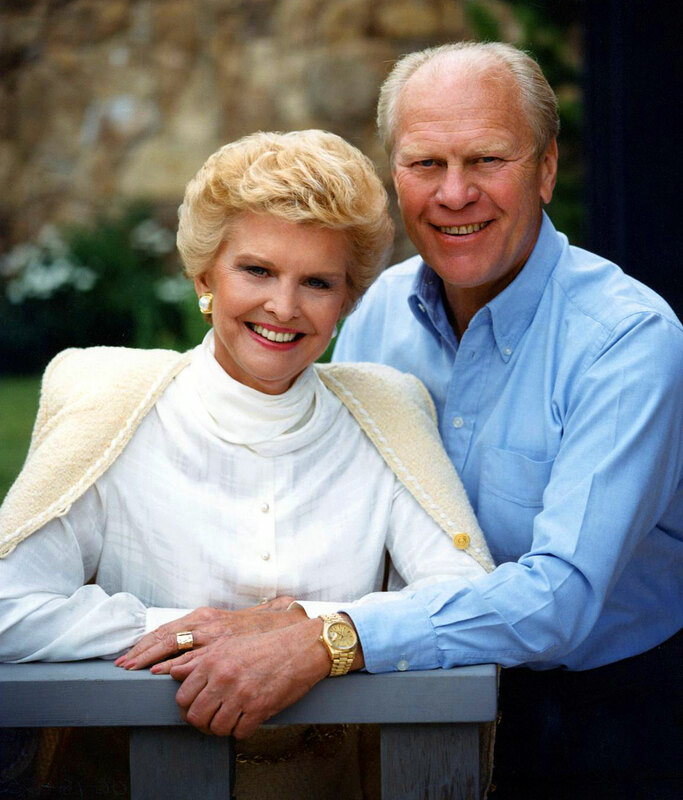 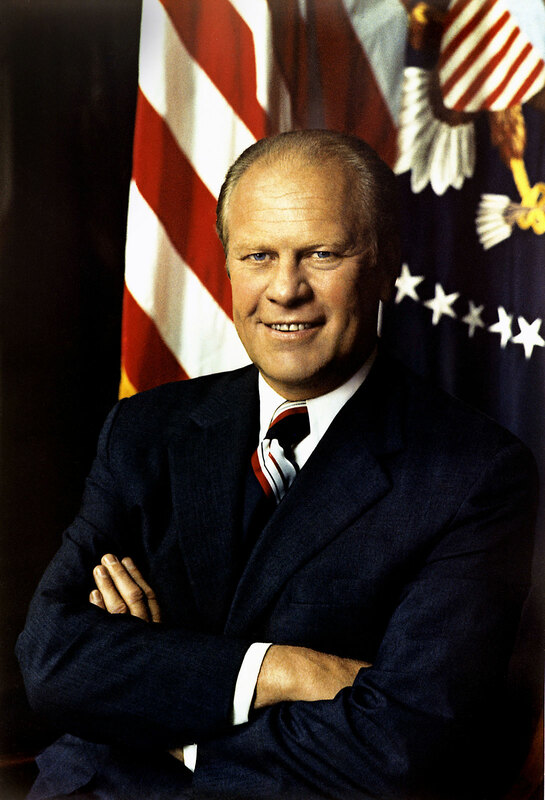 In the photo above we see Gerald Ford, with his wife Betty Ford, sporting his yellow-gold Rolex President wrist-watch also known as the Rolex Day-Date. 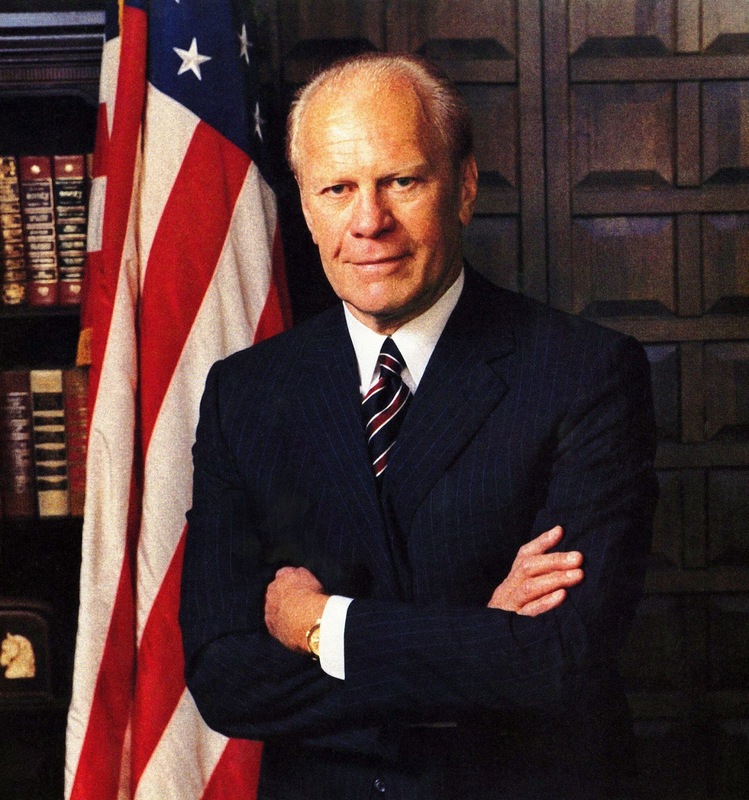 Rolex always offers a Rolex Day-Date to every President Of The United States, and they did with Gerald Ford, but he refused to accept it for some reason!?! 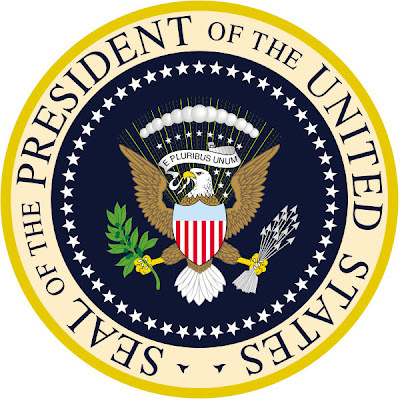 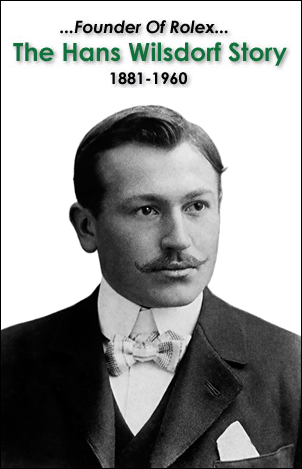 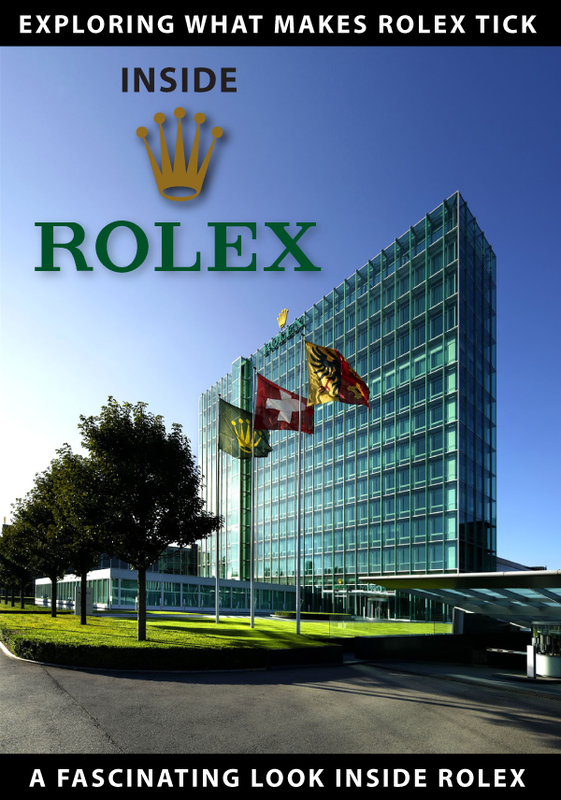 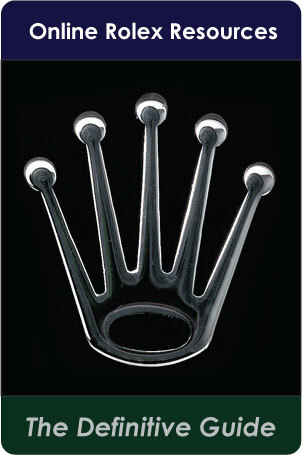 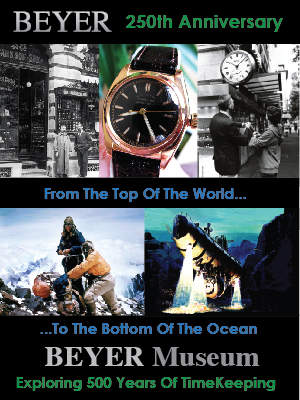 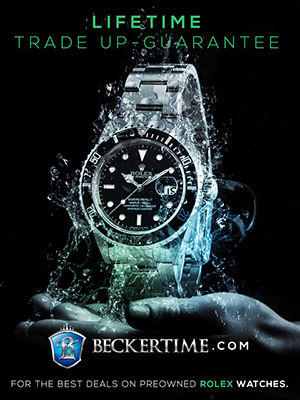 According to retired Rolex U.S.A., executive, T. Walker Lloyd, after Gerald Ford completed his presidency, he contacted Rolex and said he wished to get his Rolex President. 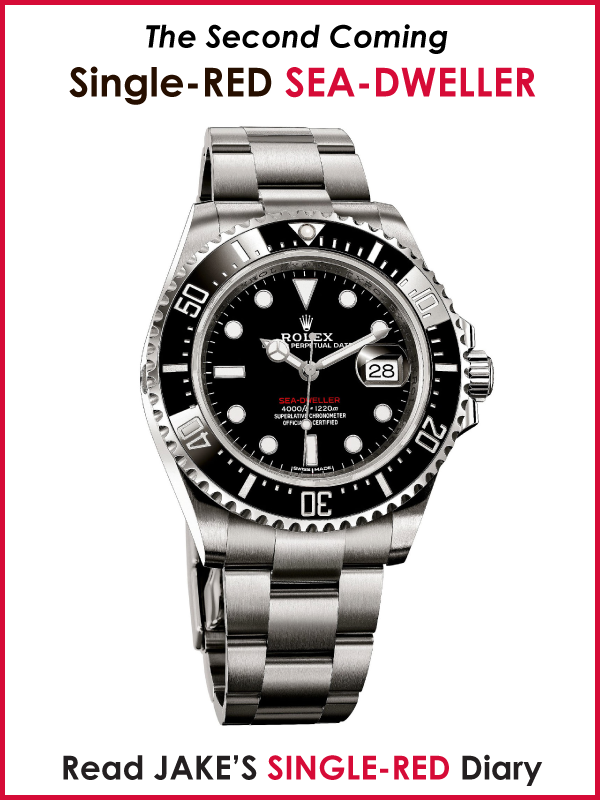 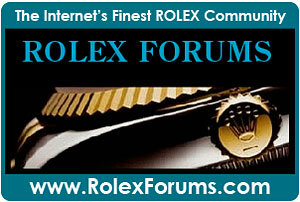 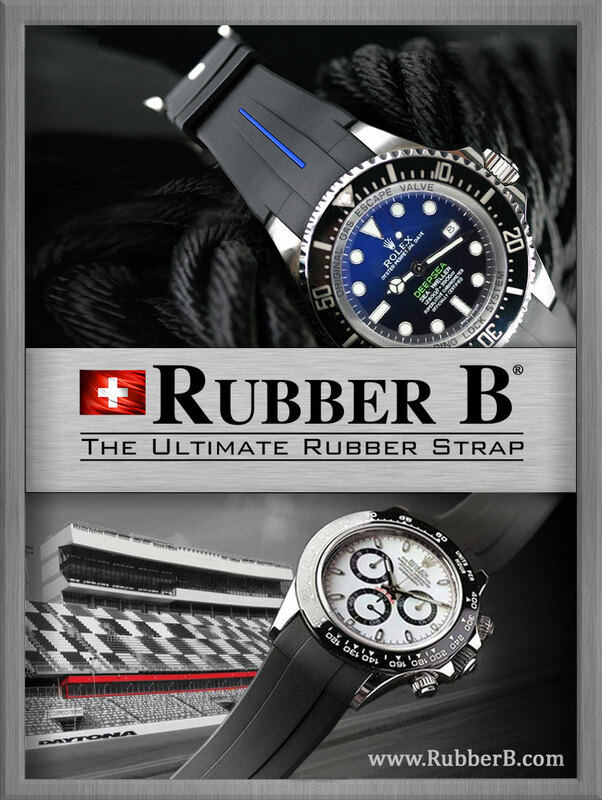 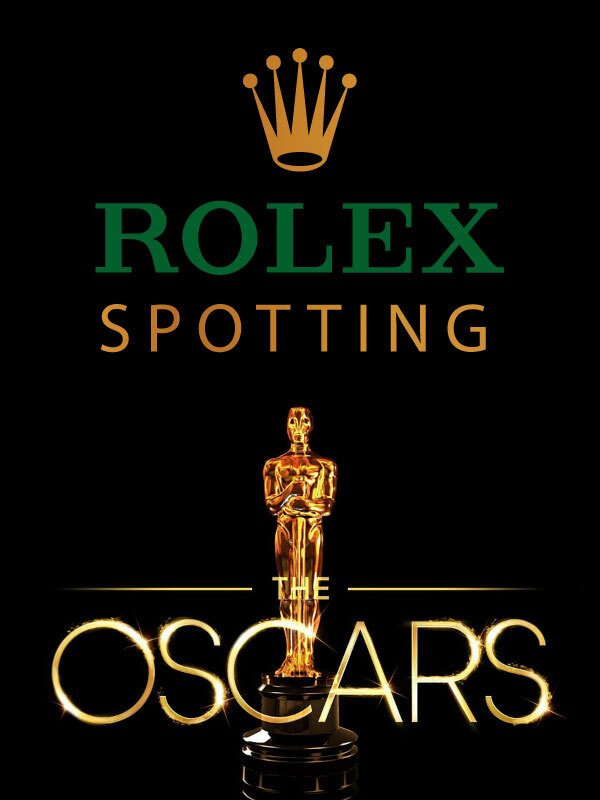 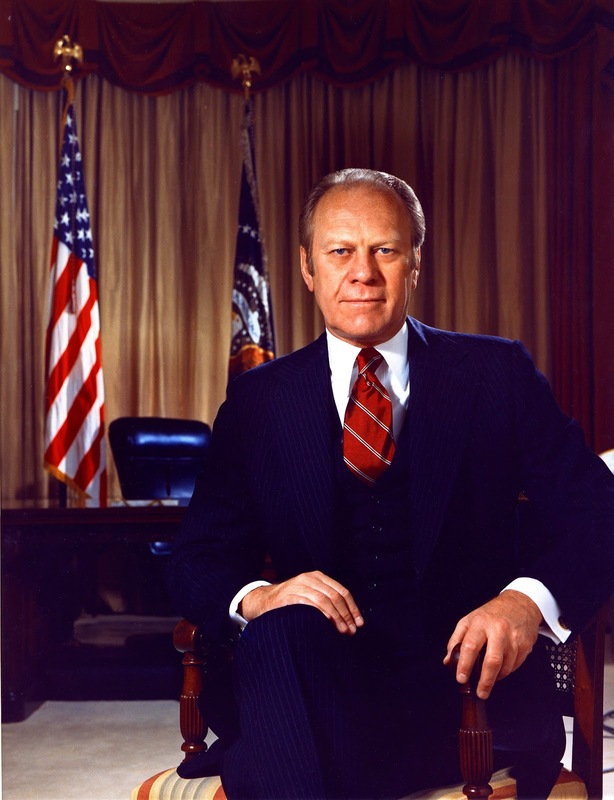 Supposedly Rolex said no, so President Ford went and purchased his from an AD. 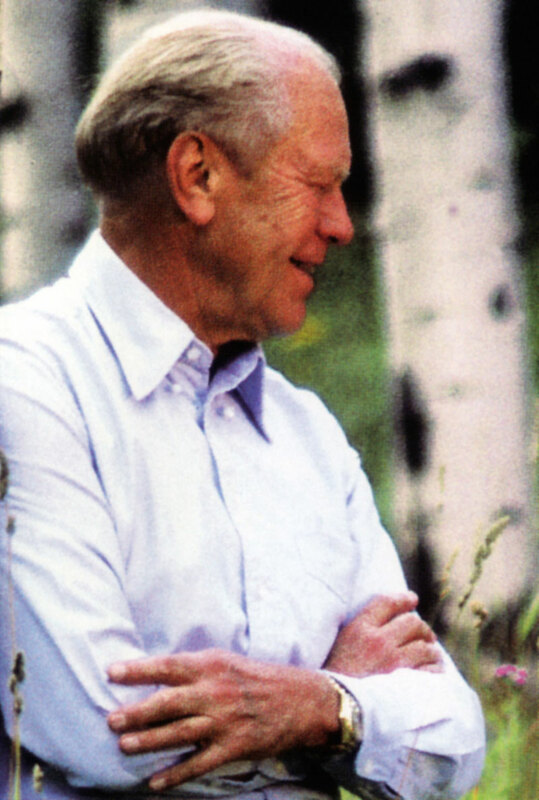 In the next photo below we see President Of The United States, Gerald Ford's official portrait photo. 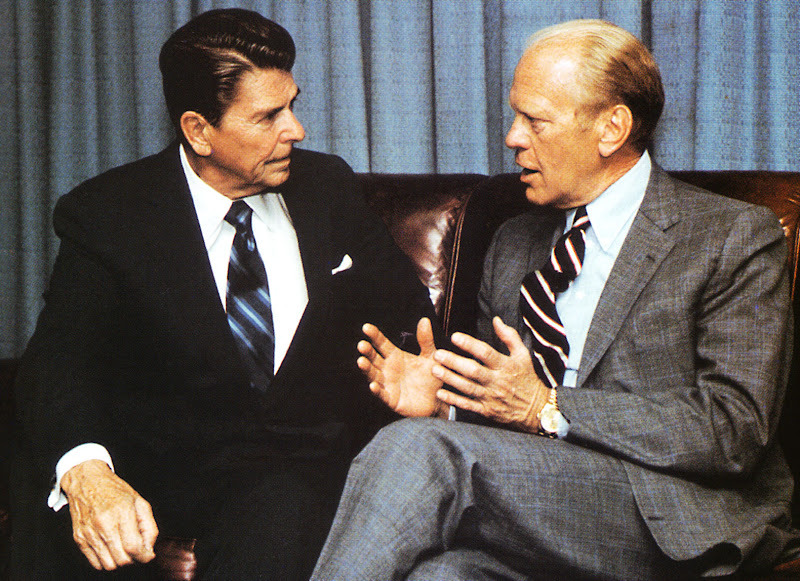 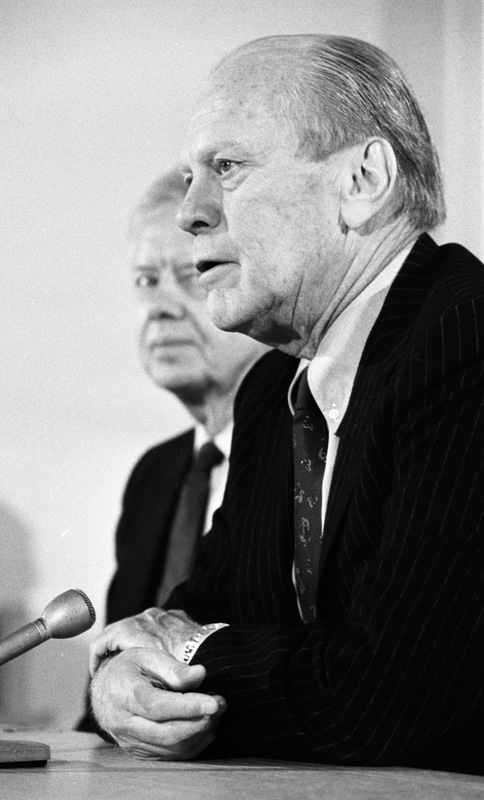 Gerald Ford is pictured below with Jimmy Carter, to whom he lost the 1976 Presidential Election. 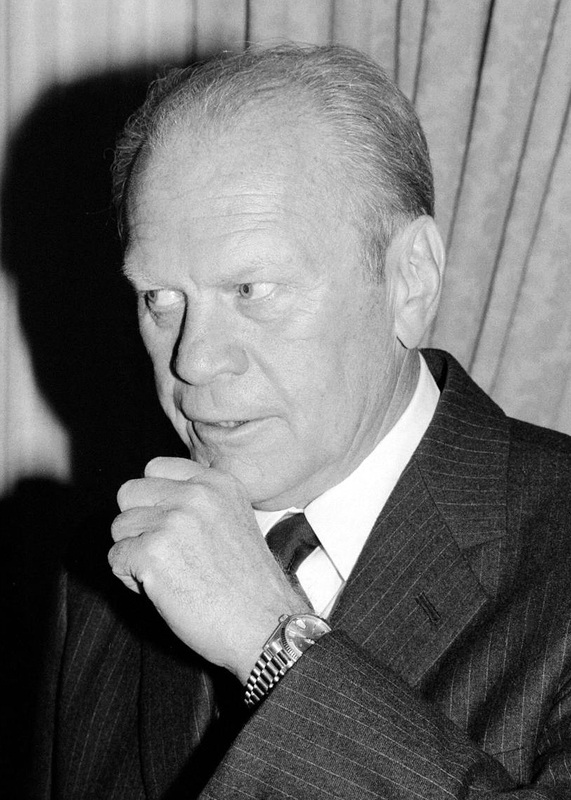 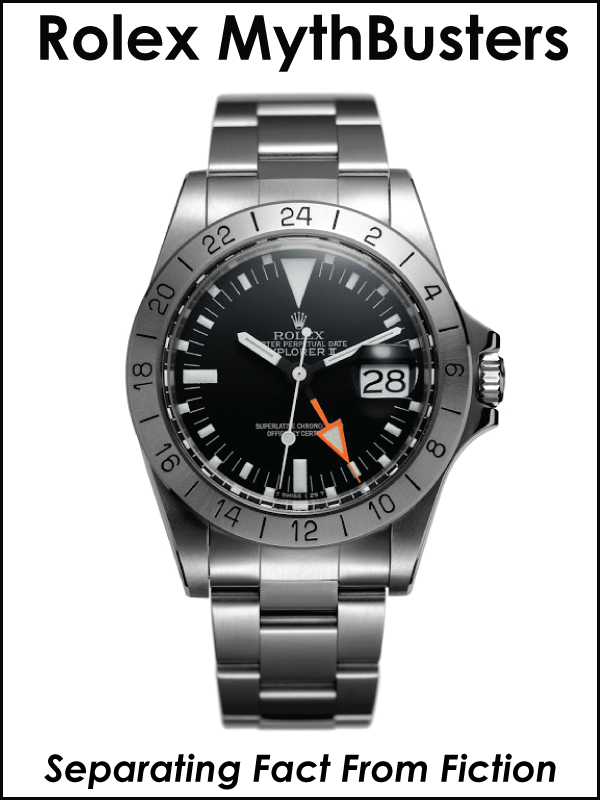 Notice Ford is wearing his Rolex Day-Date. 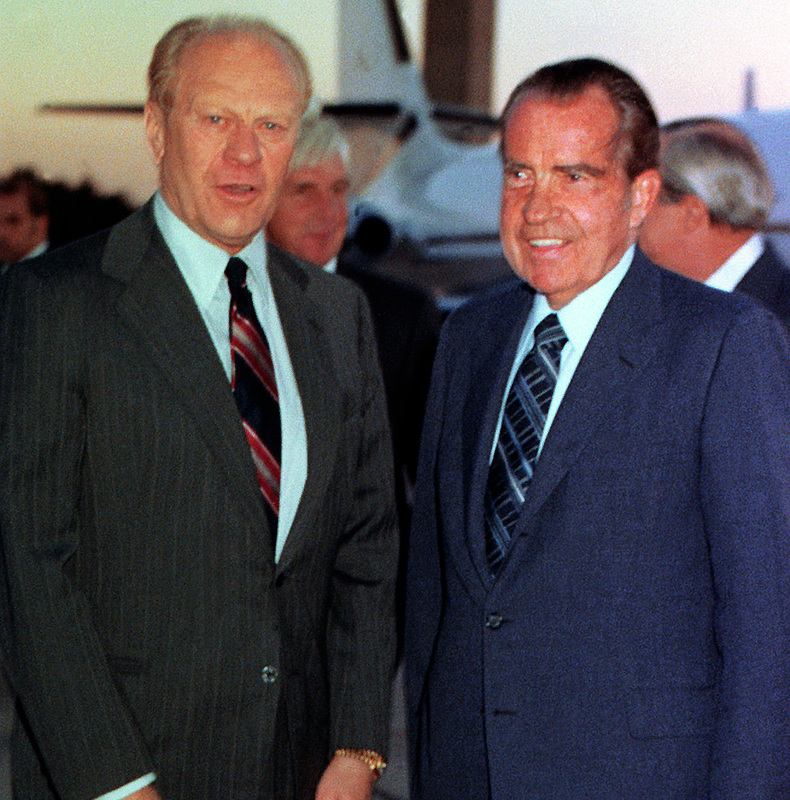 Gerald Ford is pictured above with President Ronald Reagan on June 29, 1981, and he is pictured below with his predecessor, Richard Nixon. 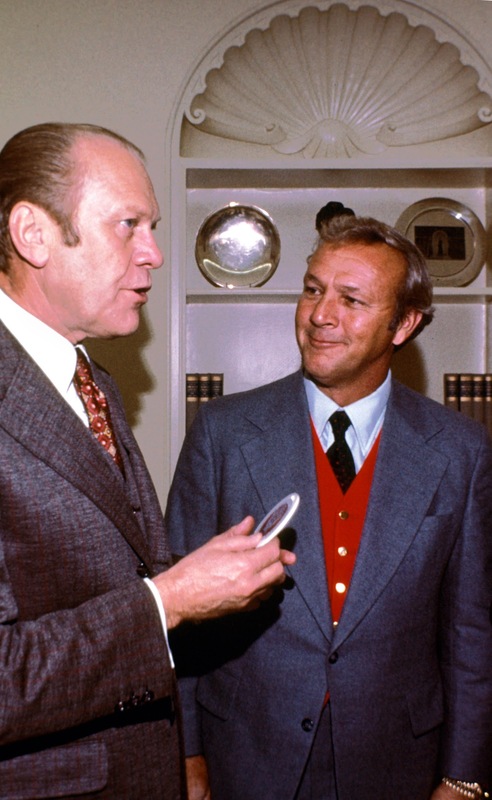 Legendary golfer, Arnold Palmer is pictured below in the Oval Office with President Ford, who was an avid golfer. 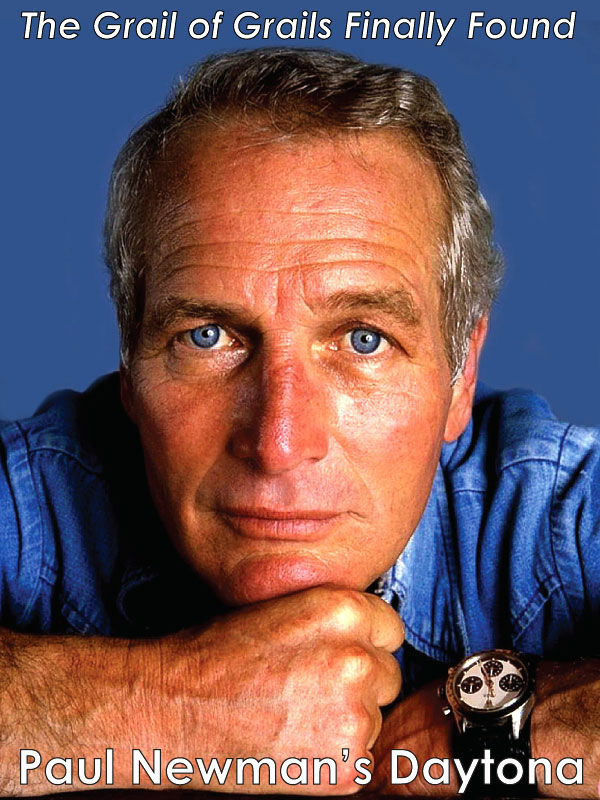 Notice Arnold Palmer is wearing his same Rolex Day-Date on his wrist. 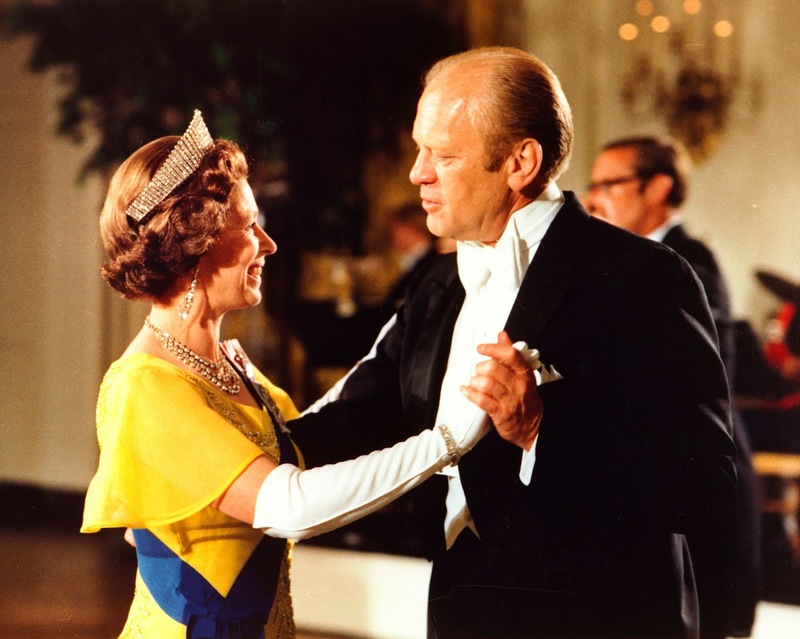 President Ford is pictured below in July of 1976, dancing in the White House with Queen Elizabeth who traveled to the United States to celebrate the bicentennial of the United States.